The THEOplayer Universal Video Player is a video playback solution developed by THEO Technologies, a trusted partner for the world’s premier telcos, broadcasters and publishers. THEO Technologies’ purpose is to facilitate the perfect video experience on any platform or device, at any time and everywhere. It is our ambition to empower publishers, video publishers, telcos and broadcasters to monetise their content and deliver cutting edge video experiences to their audiences. The online video industry is evolving at a rate of knots. The need for each aspect of the video chain to interwork seamlessly together is becoming a fundamental requirement in delivering a premium video experience. This reality has been recognized by THEO Technologies when designing the THEOplayer Universal Video Player. The single player capability across devices, combined with our deep video playback expertise, dedication to innovate and focus on value-adding partnerships is helping us deliver world-class video streaming experiences to our clients. Our global customer base covers all regions and industry segments. We are powering some of the largest streaming services in the world including: Telenet, CNN, Swisscom, Telegraaf Media Groep, NBC, VRT, Ericsson, Cisco, France Télévisions, Telia, European Parliament, NASDAQ, Softbank among many others. 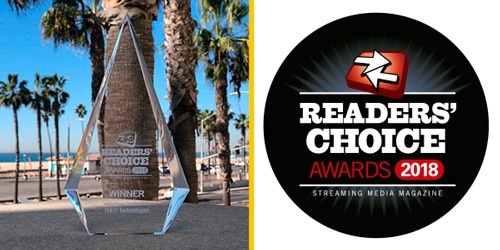 In 2017 and 2018, THEOplayer was named winner of the Streaming Media Readers’ Choice awards as World's Best Video Player Solution/SDK. THEOplayer has proven compatibility with industry-leading solutions for streaming, advertising, DRM, analytics and server side ad insertion. THEO Technologies is one of the fastest growing technology companies in Belgium. We are an ambitious team who have been disrupting the global online video industry since 2012. THEO Technologies has offices in Leuven (Belgium), Singapore (Singapore), New York and San Francisco (USA).